A stunning match 3 game. Explore various locations and complete a plethora of levels. Can You Spot The Best Move in Magic Kitchen? Explore the insane variety of levels in the fantastic match 3 game. Come back daily and get yourself a chance to win amazing prizes. Roll over lines of mana to collect them. Cast spells and use powers to help you. Match these cute animals together. Gain coins and extra energy for each level you finish. Match together the Puffys to rack up points. Compete with your friends to see who gets the better score. 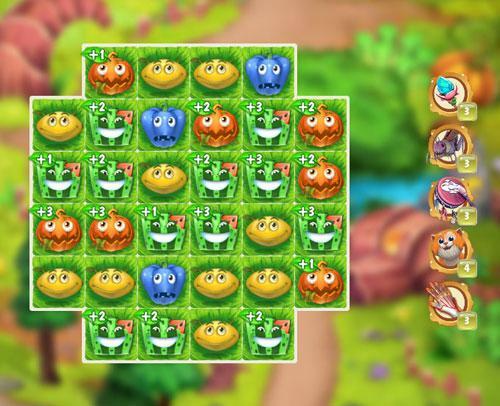 Match the rows of the living vegetables to make your way through the levels. Earn more gifts the more you play. Have You Tried Pengle Yet?